And that is one job of the SEO. To lead searchers to a certain site. More site visits mean higher website visibility which may translate to sales for online stores and high traffic for blog sites. I, for one, am interested to learn more about SEO and I will attend the SEO for WAHMS on June 30, 2018, from 9:00 am to 5:00 pm. I believe this summit will help Momi Berlin land a prominent place in search engines on the first search if not on the top. 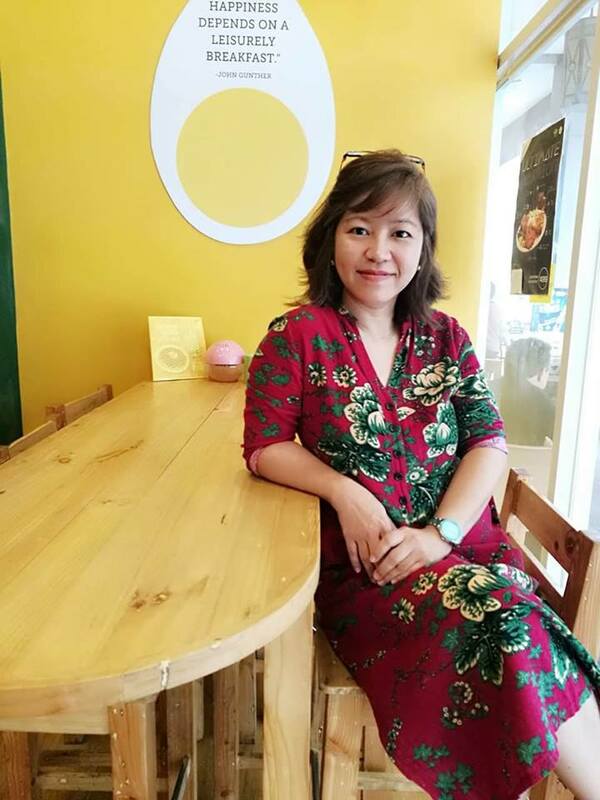 But more than that, SEO is a good home-based career which I would like to try as well while raising a family. 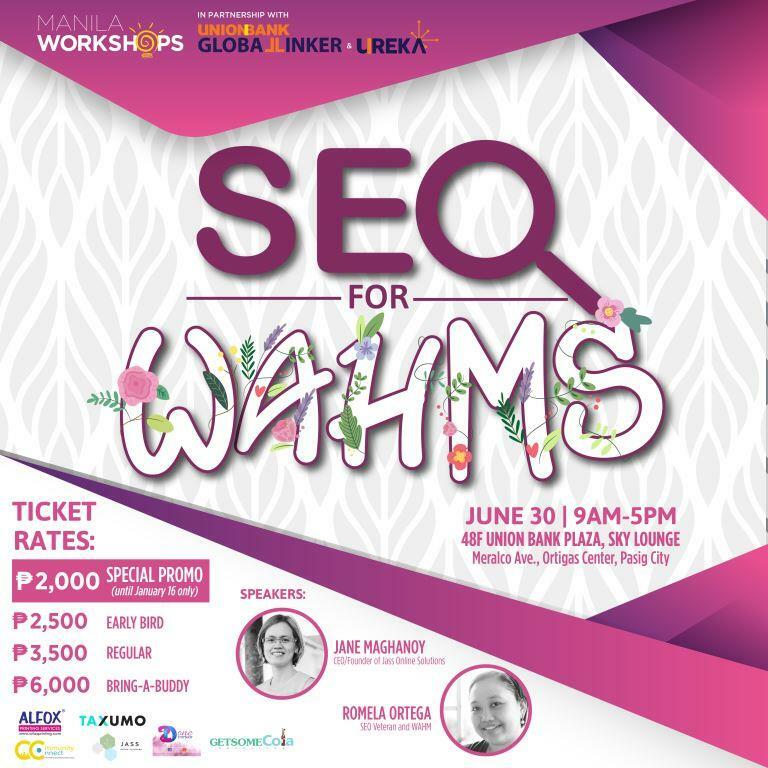 Brought to us by Manila Workshops, SEO for WAHMS aims to turn each participant’s entrepreneurial dreams into reality. Aside from learning the basics of search engine optimization, those who will attend will then find out why SEO is a good home-based career. There are plenty of work opportunities for virtual assistants, too, who are knowledgeable in doing SEO. 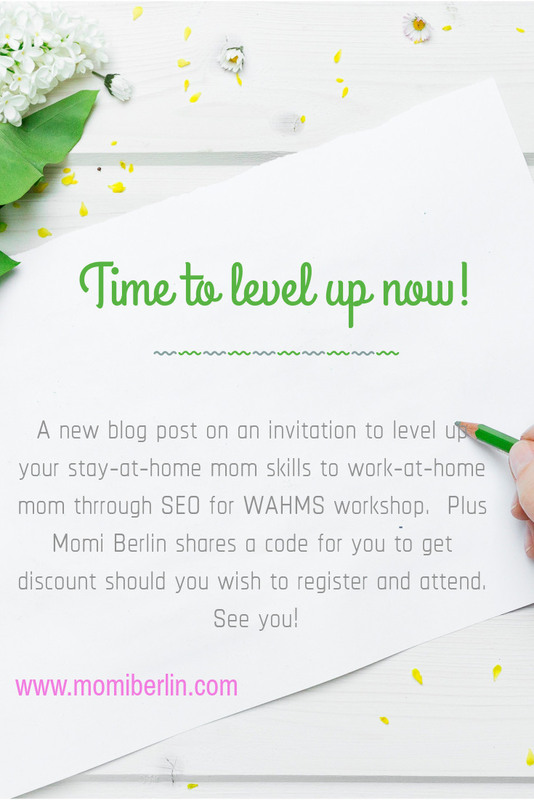 Oh, by the way, WAHMS is short for Work-at-home moms. I find the opportunity to learn SEO just timely. With the three boys all going to high school now, I will have more time for myself to explore this subject. The quiet times will be my opportunity, too, to look for a job while I apply my learning on my blog. Such great way to maximize the use of the internet to earn and blog at the same time. Time to level up now! To register, visit Manila Workshops now. 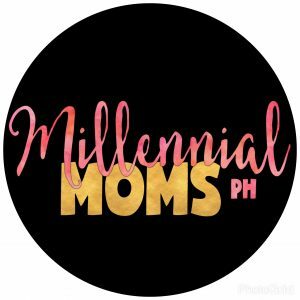 For those interested to attend the workshop, you may get P300 off from the regular rate; use our Momi Berlin code SEOBD300. I missed this one! 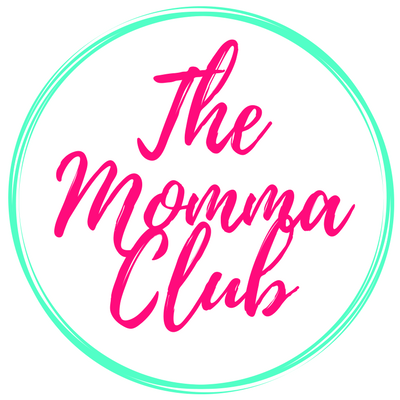 As a work from home mom, upgrading skills is the key to get more clients. So = as much as possible, I am attending workshops/training/webinars that would help me develop my skills. I’ve dabbled in SEO and have applied some methods. The thing is it’s always changing the rules and the trends. It’s hard to keep up. 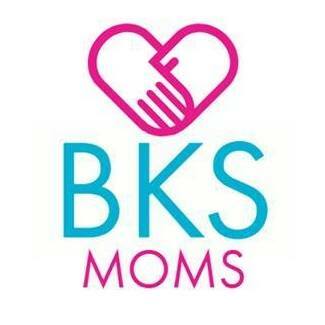 I’m interested in learning more though as well to get better reach for my blog.